This is a great finger food for parties because it involves minimal preparation. 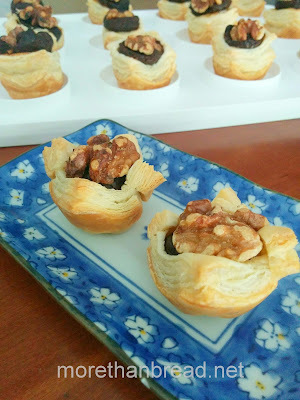 All the ingredients are store bought--date paste, puff pastries, and walnuts. I call it semi-homemade. 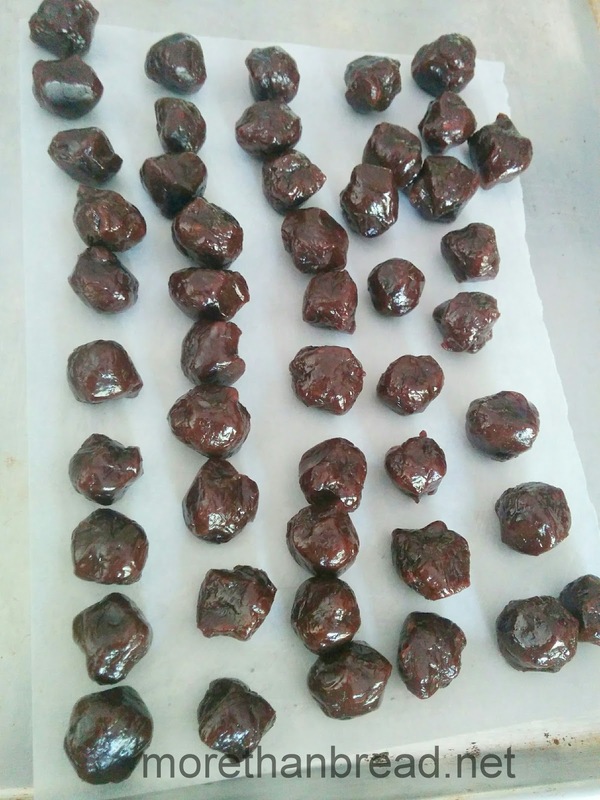 The date paste is made with 100% dates, no sugar added, so it is naturally sweet. It is very convenient to use and work with and can be found in Mediterranean/Middle Eastern or international grocery stores. Puff pastries are also available in the frozen section of most American grocery stores. I always keep some in my freezer. 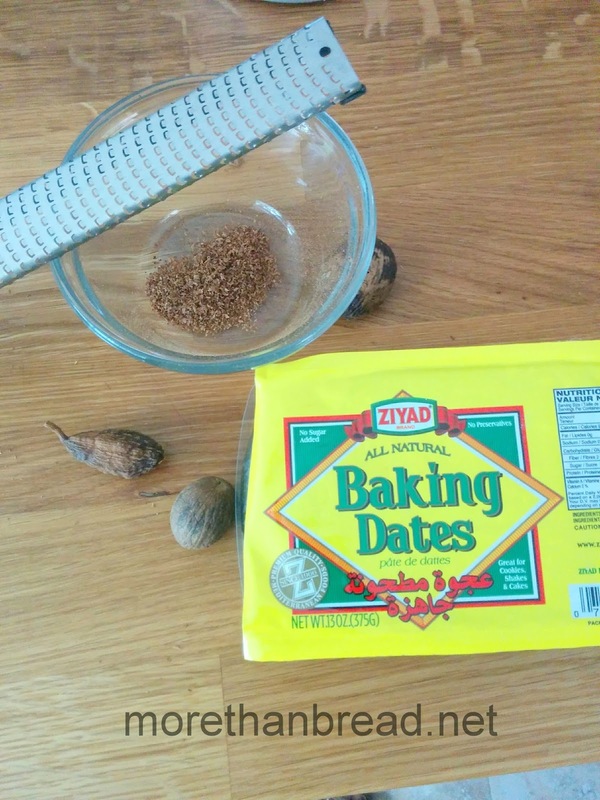 The spices in this recipe--nutmeg and cardamom--are best whole, and freshly ground right before being used. 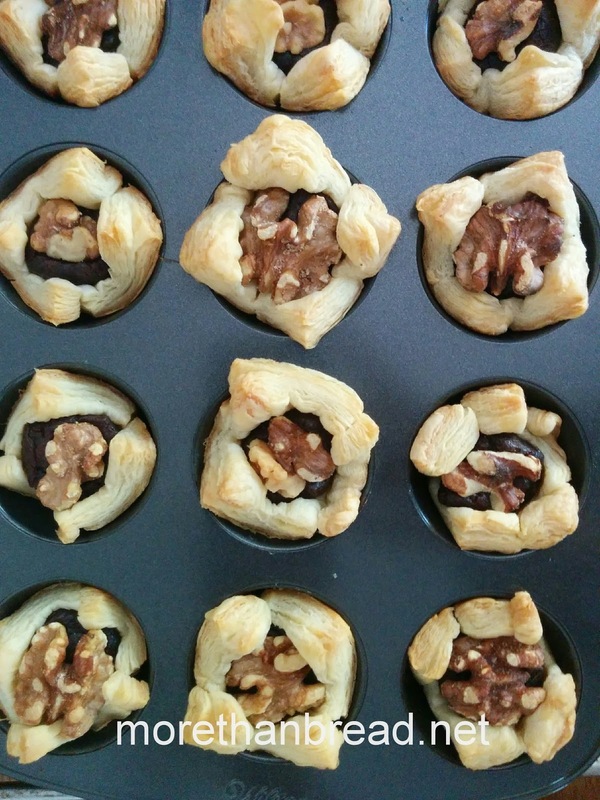 1) Thaw puff pastry sheets according to package instructions. Preheat oven to 375°F. 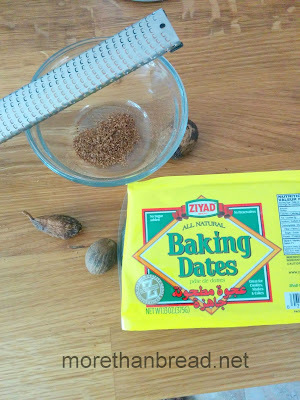 2) Mix nutmeg, cardamom and butter with date paste until combined. Divide into 48 portions, about half to three-quarters of an inch in diameter. 3) Cut the puff pastry sheets to 2x2 inch squares. 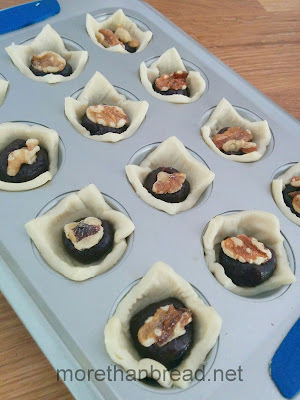 4) Place each square into the cups of mini muffin pan and poke holes into the puff pastries with a fork to prevent the dough from rising too much in the oven. 5) Place a portion of date paste into each cup and top with a walnut. Slightly press it in with your finger. 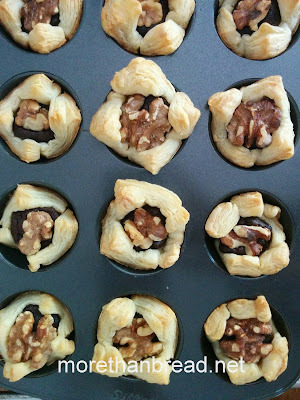 6) Bake for 18-20 minutes or until the pastries are golden brown. 7) Let it cool completely. These pastries are best served the same day. If needed, keep in an airtight container. 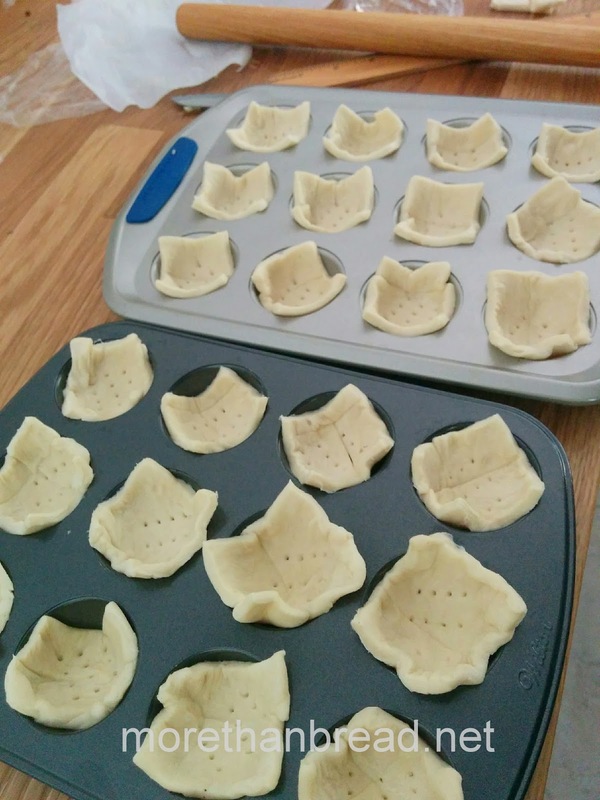 1) A mini muffin pan usually has 12 cups. The recipe can be halved or even quartered if you only have one pan. Otherwise, you can bake in batches using the same pan. 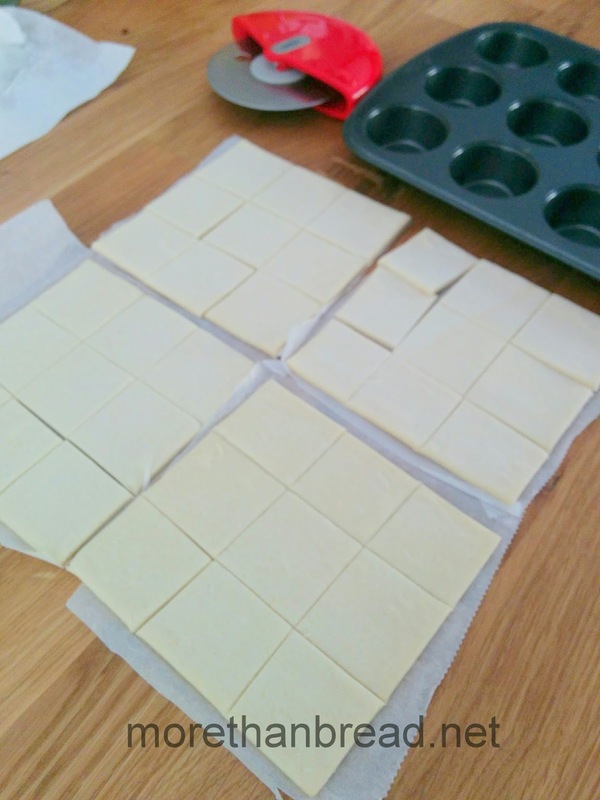 2) Make sure to cut the puff pastry sheet no smaller than 2 inch squares.